The FDA has approved laser hair removal as a safe procedure. Laser hair removal treatments are relatively safe when they are carried out by experienced practitioners. Here are further safety tips for people planning a laser hair removal. 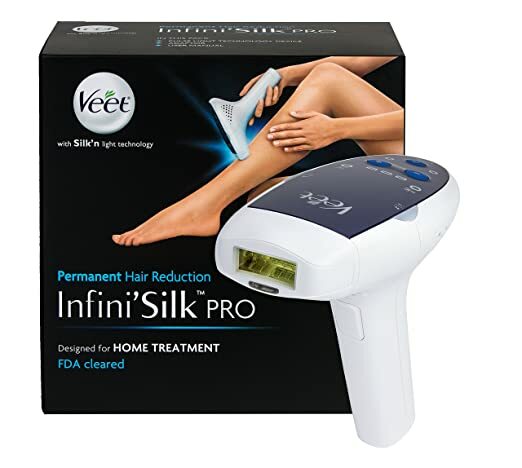 You have today two options for laser hair removal, to go to the laser clinic or Med-Spa or to do it yourself with a home laser hair removal device. There are two main laser systems sold today online (at Amazon) the TRIA Laser Hair Removal and the DM 6000 Laser Hair Removal both system can deliver very good results when used as suggested by manufacturer. Safety tips before a laser hair removal. 1. Avoid waxing or even plucking the hair, epilating or electrolysis 30 days prior to the laser treatment. The laser needs the dark melanin (in the hair) in order to perform best. Removal of the root may affect your safety. You can wax, pluck or epilate a few days after the laser session to get short term smooth skin. 2. Shave any treatment area within a day ahead of your session. It is less a laser safety advice but more an efficiency tip. While the hair is shaved the stump left will absorb the majority of the laser light. You can use a regular hand blade razor or electric shaving machine. For pubic hair use the Cleancut and for men back hair use the Mangroomer. a smaller a contrast between the skin and the hair and could impact the safety and outcomes of hair removal. The best time of the year for laser treatments is the end of the winter, when your Melanin cells had less light to absorb for a few month, and the skin tone is lighter. If you have a natural darker skin tone (olive, spanish, brown) laser treatments are not for you! The best advice for you would be looking for the Elos (IPL and RF radio frequency) technology. You can find them at some premium skin care clinics or for those who want to do it at home with the new Me my Elos Hair Removal System. 4. Choosing the right laser for the hair removal, when an unsuitable laser is used on the wrong skin type, safety dangers of laser hair removal can occur such as scarring, burns and pigment changes can be seen afterwards. 5. As well as that for the laser safety it is recommended that Lotions, deodorants, perfumes and makeup will not be used just before the laser treatment. It might create a reflective coat which will interfere with the process. You can use when doing home laser removal some anesthetic gel or cream to easy the ‘zapping’ feeling. Safety Tips During the Laser Hair Removal Process. Use of laser safety goggles Eye protection are completely vital and must be worn throughout laser hair removal treatments. The eye safety used should be unique with the laser beam wavelength utilized; otherwise you’re still in danger. To prevent blindness, follow this safety tip: laser hair removal is not advised being carried out beneath the top of the eyebrow. For hair removal around or close to the eyes no laser system is recomended! It is best to invest and go to a cosmetic clinic or buy a cheap electrolysis home device and do it yourself. Infections may be picked up via any cooling devices employed following laser hair removal treatments. Make sure the person doing the treatments uses alcohol 70% to disinfect all pieces touching your skin. Practitioner’s experience can affect your safety while doing a laser hair removal. Discover for how long and how many clients your medical professional has treated with this unique device, Ensure that he handled people with your type of skin. He could be skilled in diode laser but less in intense pulsed Light… It’s safest to go to a physician, preferably a dermatologist or plastic surgeon. Safety tips after a laser hair removal. The danger associated with skin damage will be reduced if you have a treatment utilizing a laser that’s appropriate for your own skin and hair type. Various lasers are usually made for distinct skin tones. Should you observe of feel scarring, burns and pigment changes you must hurry to the clinic and let the operating doctor check these side effects. Your main concern should be laser hair removal skin hypopigmentation, white spots, this side effect is usually permanent ! To other pigmentation side effects like skin discoloration there are some solutions. The discomfort from laser hair removal generally goes away after your procedure session is done. Usually this pain ought to come to be more bearable as the treatments pass by. Remain a way from the sun; Sun exposure should be limited after laser hair removal. Using an SPF 30 sunscreen is highly recommended. The ultra violet rays can affect your skin safety, these ray are the major reason for skin cancer. While many ask does laser hair removal cause skin cancer, the sad truth is that the sun does that. This entry was posted in Laser Safety and tagged fda laser safety, intense pulsed light laser hair removal, ipl vs laser hair removal, laser hair removal cancer, laser hair removal safety, laser hair removal safety tips, laser hair removal side effects, laser hair removal tips, laser ipl hair removal, laser ipl hair removal safety, safe laser hair removal by admin. Bookmark the permalink.